The EIS provides a useful tool for community members and the city to evaluate the impacts of growth in residential neighborhoods. The information gathered can and should be used shape policy in our changing city. Given the information presented, we support Alternative 3 with its emphasis on maintaining the scale of existing development in single family residential zones. Most importantly the EIS finds that Alternate 3 will reduce the amount of natural occurring affordable housing lost to redevelopment. We feel that a moderate pace of scaled growth will lead to more equitable and environmentally sustainable Seattle that maintains a strong sense of place. Backyard cottages are a great addition to our city providing the low hanging fruit for increasing urban density while providing housing opportunities for families. The EIS study finds that backyard cottages increase housing options in areas that are deemed to have the highest access to opportunity. In fact we see this trend on an ongoing basis. A majority of the cottages we design are being built as rentals. And while the cost of construction is relatively uniform across the city, rental rates vary greatly. As a result, the return on investment is higher for a cottage built in a more desirable neighborhood with higher rental rates. 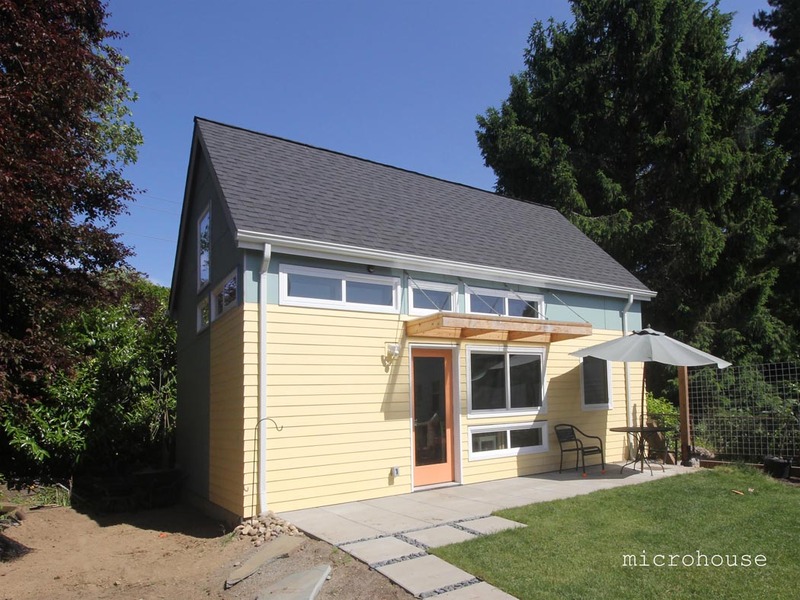 As rental rates have increased so to have the number of backyard cottages built. Current rates of production are close to 150 new DADUs per year. The EIS analysis finds that Alternate 1 (no action) would result in the production of 1,890 new DADUs, Alternate 2 (representing the broadest range of changes) would result in 1,820 new DADUs and Alternative 3 would result in 1,705 new DADUs being built in the next ten years. It is interesting to note, that of the alternates, the highest number of DADUs would be produced under Alternate 1 which represents no change to the current land use code. Given those results, it would be hard to argue that the proposed changes are necessary to encourage DADUs. However, the EIS does provide the opportunity to suggest improvements through the comment process which runs through June 25th. All comments will be included in the final EIS report. To review the EIS document and to comment visit. DRAFT EIS. BCBEB (back yard cottage blog editorial board) ADU EIS guide to the EIS comparison of alternatives. 1. Number of ADU's on a lot: Alternative 1 no action or Alternative 3 Allow an ADU and DADU on lot while maintaining the owner occupancy covenant. DADUs built under current land-use have an impact to the built environment but one generally in keeping with current development patterns in SFR zones. Allowing three units especially in combination with the removal of the owner occupancy requirement will lead to SFRs designed and built to be rentals with a much higher combined value. Because the combined rentals will have a higher value than one smaller SFR there will be financial incentive to increase the demolition of naturally occurring affordable SFR housing. In addition, the higher combined value of three units will make their purchase that much less obtainable for a family and more appealing for an out of area investor. It has been well documented in the HALA literature that opportunity gaps exist based on proximity and home ownership. Ownership is one of the primary means of accumulating and maintaining household wealth. This is true for marginalized communities but also for middle class families. Allowing more than one ADU per lot, and eliminating the owner occupancy requirement, will reduce the amount of affordable housing available to families to own. 2. 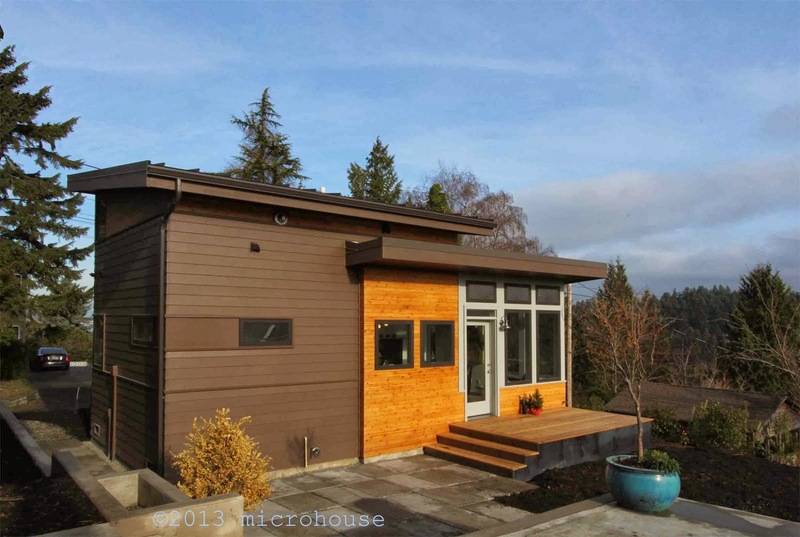 Parking: Remove parking requirement for ADUs. Alternative 1: no action. There is already a parking waiver system which allows for conditions where the cost to add parking is expensive or otherwise infeasible. If we are serious about building equitable communities we shouldn’t be caviler about parking. Those who depend most on cars are the working poor and families with children. More than others, the working poor don’t have the luxury of having just one job in an urban center served by transit. They need a car to get to multiple jobs in dispersed locations, often in off hours. Similarly, it is virtually impossible for families with young children to function in Seattle without a car. The EIS looks at the effects of removing the requirement all together for the sake of studying the impacts. The original proposal to sunset owner occupancy after a period of time is good and should minimize the destruction of naturally occurring affordable housing by speculative developers. The period of time should be 3 years. However, owner occupancy should be required for all DADUs used short term rentals. We already design many cottages on lots less than 4,000 sq. ft in size and the size of the cottage on smaller lots is driven by lot coverage as it should be. increasing the allowable size 200 sq. ft. is a great idea and makes it easier to fit in two bedrooms. However, Alternative 2 excludes the garage and other storage from this calculation potentially allowing 2,000 sq. ft. ADUs. We frequently design cottages where the garage space is not intended for parking but as part of the cottage. The city can't and shouldn't mandate that garages are used for parking but not including this space in the allowable square footage will unnecessarily increase the allowable size and bulk of DADUs. And will have a negative impact on the character of neighborhoods, the amount of natural light and vegetation available. 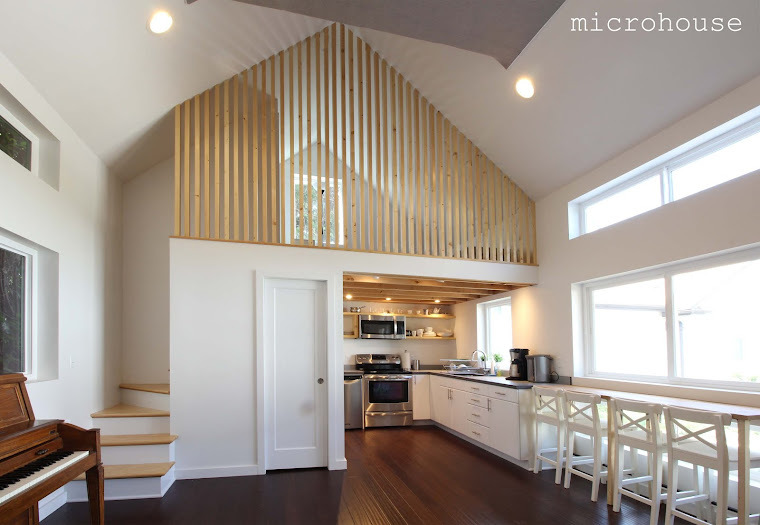 While almost all of the cottages we design are built to the allowable height limit the current height limit is adequate for a two story structure. Additional height can reduce the amount of sunlight reaching neighboring yards. The multi-family code has provisions that allow additional height with a consideration for the impact of shading on neighboring properties. Something similar can and should be adopted for DADUs wanting higher height limits. Recognizing that yards do have a value both for families raising children and as green spaces and as a way to reduce stormwater runoff. The proposed changes don't actually increase the total amount of lot coverage allowed. Allowing rooftop features, namely shed dormers to extend above the base ("eave height") will not increase the bulk of DADUs allowed under the current land use code and therefor have no environmental impact but will facilitate good design. 10. Location of entry alternate (Support): the alternative to allow entries located facing the nearest lot line as long as the entrance is located 10 ft or more away. Alternative: increase the household size along with maintaining owner occupancy requirements. MHA fees will discourage the creation of additional units. It would seem better to require that additional units, if allowed, meet affordable housing guidelines. SDCI can start by assigning a designated reviewer for DADUs wich will eliminate inconsistencies and streamline the review process saving both time and money. Additional alternative: SDCI can waive fees for DADUs with affordable housing criteria. This is a big introduction into the EIS study. Floor area ratio is the ratio of the gross area of a structure to the total lot area. Currently, the FAR is not restricted in single family zones and size is restricted by setbacks and lot coverage. As shown in the EIS introducing an FAR limit will increase the number of smaller more affordable houses being built and reduce the destruction of naturally occurring affordable housing.